PAYCRON > Blog > Would You Mind Glancing Into High Risk Echeck Processing? 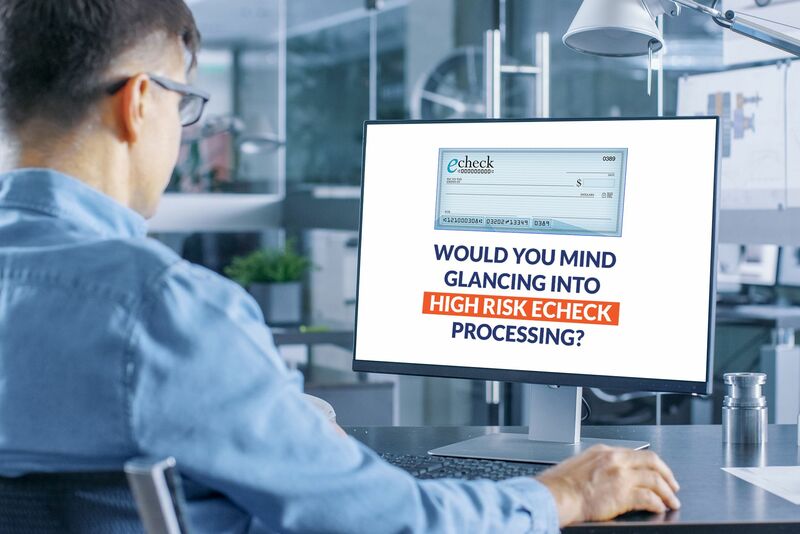 Would You Mind Glancing Into High Risk Echeck Processing? There are certain reasons owing to which high risk echeck processing is a complex thing. Though nobody can make it easy, professional high risk merchant service providers definitely help in knowing the process in a clear and better way. These experts guide throughout the process and ensure answering the questions or queries on time. It won’t be wrong to say that understanding the concept and getting detailed knowledge is next to impossible until the right service provider decodes every tiny aspect related to it. For merchants, knowing the latest trends and practices is very important. Also, they must know the services they are paying the fees for. In the current time, what makes a great difference to every client is the way customer service is provided. They have more faith in talking to humans rather than computer voices. For this very reason, established companies address the needs of their customers and provide round the clock customer care assistance. When this particular service is provided the right way, merchants are better able to understand the statements & deals with a number of issues. Card swipers and point-of-sale devices come under counter-top terminals. Thanks to technology, customers are checked out easily & quickly without any sort of technical glitches. Via counter-top terminals, it authorizes, tackles as well as manages payments & transactions from retail location of the merchant through counter-top terminals. Merchants have all the rights to carry their business the way they want through tailored retail payment systems. When the need is swiping credit cards in a store or office, these are exceptionally helpful. Another great way merchants have to accept payments from their customers is through mobile wallet. A plethora of mobile applications are available that are known to offer credit cards, loyalty cards and debit cards. Nowadays, mobile wallet transactions have got quite famous. In the coming time, most of the businesses will accept mobile wallet transactions, as more & more customers will have mobile wallet. To conduct these transactions, advanced counter-top terminals are needed. EMV or Europay, MasterCard and Visa is a technical standard for machines in order to accept smart payment cards. Data is never stored on the magnetic stripes, still chip cards or EMV cards have magnetic stripe. As compared to the chip cards, magnetic strip cards have more possibilities for counterfeiting. Due to this, EMV cards have gained massive popularity over the years. Some merchants have ecommerce store or web-based business; thus, process online transactions. Now this is the reason why a service provider who make things work in favor of the merchant is important. For every online business, merchants require online solutions that work in their way. It could be anything from a tailor made solution to an ecommerce payment solution. Many merchants run their online businesses through their websites. To do this, they require a payment gateway that works with the ecommerce platform. Payment gateways have security measure and complicated infrastructure as well. Reliable, quick and protected transmission of transaction data is crucial. Most of the gateways cost a fee and it is charged per transaction. Also, it never shows up on the processing statement of the credit card. Getting in touch with a professional service provider is the way to identify the best payment gateway for the business.